I rarely ever share my teen program ideas, and that’s because I haven’t been very successful in getting anyone to come to them. Both of my libraries are in small, rural towns, so I don’t see a lot of teens in the library, even for picking up required reading or working on homework. Still, I always feel a little guilty when no one shows up for a program. My goal is to start doing a lot more outreach and build on things that are more popular, like movie nights, before I delve into more involved programming. Anyway, I finally talked myself into posting my teen programs because, a) I like my ideas and think they could possibly work for other people, and b) I really wanted this blog to express all the varying duties of a rural, branch librarian. 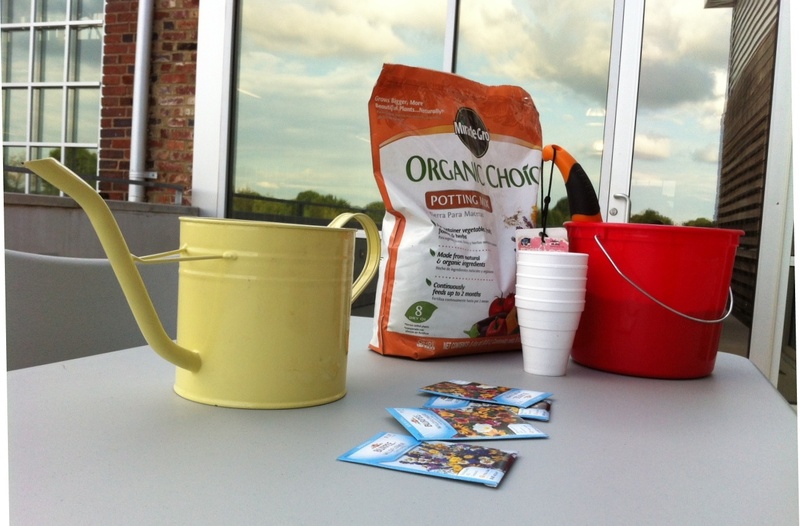 A couple weeks ago, I offered guerrilla gardening for teens. It’s a name that’s pretty militant, but it’s harmless fun. Guerrilla gardening is about finding spaces outdoors that are ugly, neglected, and screaming for help. You create “seed bombs” and scatter them in areas like this so that wildflowers bloom and create a little optimism and beauty in these places. Knowing that there’s a few places like this in easy walking distance of both of my libraries, I decided this could be a cool project for teens as it has a slightly rebellious nature to it. It’s something you can do to make the world a better place without organizing a fundraiser or even asking permission. What would be really important to communicate to your teens is that there are some places where scattering seeds would not be welcomed. They should avoid parks, property that obviously belongs to someone, planters around businesses, etc. To help teens figure out where they can scatter seeds without getting into trouble, you should take them for a walking tour of your neighborhood (if possible) and point out examples. Empty lots, the outskirts of eroded parking lots, ditches, walkways, the ugly places behind stores–all of these are acceptable places. Mix 1 part soil with 4 parts clay and then sprinkle in your seeds. When you’ve given everything a toss, slowly add water until you have just enough to make clumps. Ball up the seed mix and place somewhere to dry. These are your seed bombs. When scattered, a bit of rain will break down the ball and help the seeds to grow. No need to bury or water, you could just toss these out a car window if you really felt like it. The bombs take a few hours to dry (at least), but they don’t really need to be dry for you to scatter them, it just makes them easier to store and carry around. You could have your teens make them and carry one as you go for a walk together and practice scattering them. I was able to do this program for only a few dollars as I only had to purchase the seeds. One pack of seeds is enough for one person, so plan accordingly.